The Corporate Advocacy® our answer to the profound changes brought about by the new modes of expression and communication. Our approach is based on the principle that peers prescription and recommendation will always outweigh the own issuer communication. We offer our clients to transform their audiences into ambassadors and defenders. The aim is to create a preference, for the long-term, and the defense, if necessary, by placing the company at the heart of an ecosystem of relay publics, and by providing, through the most effective means of communication, the relevant arguments thanks to a preliminary analysis of the issues. Corporate advocacy® is about leveraging key audiences to create a shared commitment around a company or institution and its corporate brand. We are member of SEC / Global international network, a global partnership of entrepreneurial agencies which specialize in corporate communication and influence. For its Italian roots, the network has grown is now present in Paris, Berlin, Brussels, London, Manchester, Edinburgh, Madrid, Warsaw as well as in Bogota, Australia, Abu Dhabi, Shanghai, Hong Kong and Singapore. To facilitate and accelerate the development of our customers, to assist internal and external change, and to take part in changing behaviors. 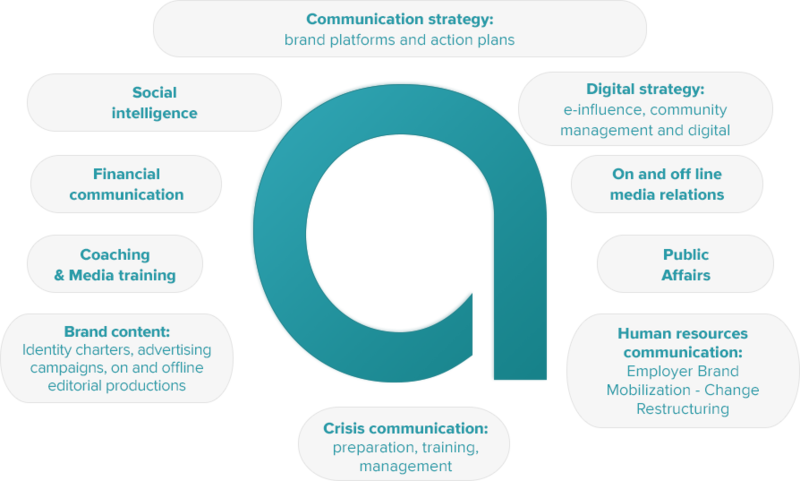 CLAI organizes many training courses including: crisis simulations, media training, crisis communication training, digital acculturation, social network management, etc. CLAI is referenced on the DataDock platform and fully meets the requirements of the Quality Decree as a provider of continuing education.